juni 2010 | 420 blz. 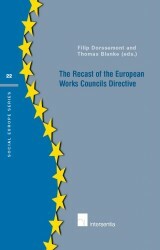 On 16 May 2009, the EC Directive 2009/38 (Recast Directive) has been published in the Official Journal. 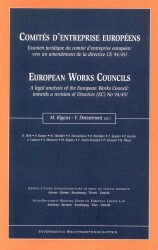 With effect from 6 June 2011, the EC Directive 94/45 on the establishment of a European Works Council or a procedure in Community-scale undertakings and Community-scale groups of undertakings for the purposes of informing and consulting employees will be repealed. It will be substituted by the Recast Directive. april 1999 | 383 blz. Directive (EEC) No 94/45 is the first concrete step towards community-scale participation for workers. After a critical analysis of the directive and its implementation in Belgian, German, French and Dutch law by eminent international experts, four recent test cases are examined.